For almost 20 years, Honda has produced one of the best-selling crossover SUVs—the popular CR-V—consistently delivering the right blend of utility, value, and dependability. No doubt, American drivers love crossovers, and they love Honda’s version the best. Toyota may mewl and protest over that statement, but unlike the RAV4, the CR-V is sold only to consumers and not to car rental and government vehicle fleets, which artificially boost the Toyota’s sales figures. With the 2019 Honda CR-V, the automaker doesn’t mess with success. The only change is a new exterior color choice. Good thing the CR-V is such a likeable vehicle in the first place. Despite its stasis, it remains a pleasure to use as a daily driver. For this review, we evaluated a 2019 Honda CR-V Touring equipped with all-wheel drive (AWD). The price came to $35,195, including the $1,045 destination charge. Before we discuss the results of our evaluation of the 2019 Honda CR-V, it’s helpful to understand who buys this compact SUV and what they like most and least about it. Women buy half of all compact SUVs, according to J.D. Power data. However, 55% of CR-V buyers are men. They’re older, too, with a median age of 62 (vs. 58 for the segment) and enjoy a greater median annual household income ($94,483 vs. $91,270). Just 27% of CR-V buyers identify themselves as members of Gen X (those born 1965-1976) or Gen Y (1977-1994), compared with 39% for the segment. Generally speaking, Honda CR-V buyer sentiments about their vehicle align with those of all compact SUV buyers. They are, however, more or less likely to strongly agree or disagree about certain aspects. For instance, CR-V buyers are more likely to strongly agree that they avoid vehicles that they think will have high maintenance costs (74% vs. 67%), that quality of workmanship is a first consideration when choosing a new vehicle (55% vs. 48%), and that reliability is a first consideration when choosing a new vehicle (71% vs. 65%). Honda CR-V buyers are also more likely to strongly agree that they’ll pay extra for the latest safety features (33% vs. 28%), and are more likely to agree that fuel economy is a first consideration when choosing a new vehicle (73% vs. 68%). At the same time, CR-V buyers are less likely to strongly agree that they like a vehicle offering responsive handling and powerful acceleration (35% vs. 39%), and less likely to agree that they like a vehicle that stands out from the crowd (61% vs. 65%). Buyers say their favorite things about the CR-V are (in descending order) the driving dynamics, exterior styling, storage and space, seats, and interior design. Buyers indicate their least favorite things about the CR-V are (in descending order) the visibility and safety, engine/transmission, climate system, infotainment system, and fuel economy. The CR-V presents a good look for Honda, one that is clean yet playful. The unmistakable Honda family grille, chromed so that you can’t possibly miss it, and pugnacious front bumper give the SUV a determined appearance, while the kinked edges of the hood add extra visual flair. Wrapping into the sides, these styling elements draw the eye to a tidy tail that looks a little bit sporty and a little bit upscale. I do, however, dislike the Touring’s 18-in. wheel design, which resembles a fidget spinner gone mad. My test vehicle had an Ivory leather interior, which not only contrasted nicely with the CR-V’s black dashboard but also made the cabin seem bigger than it is. So equipped, the CR-V Touring’s cabin possesses an upscale look and feel, even if at the same time evidence of the SUV’s affordable base price is apparent. The CR-V’s driver’s seat is the premier one of the house, thanks to 12-way power adjustment, good bolstering and cushioning, and a heated cushion. The front passenger’s seat mirrors these qualities, but is limited to 4-way adjustment. Because the seat is mounted fairly low, this results in an uncomfortable and unflattering splayed leg seating position. In the rear, there’s generous room for two, and even three can ride in the back with nary a shrug. The people riding back there will appreciate the two USB ports and air conditioning vents, too. With two knobs and clearly marked buttons, the CR-V’s dual-zone automatic climate control system is simple to use, and effective at warding off the chill on cold, rainy days. Buyers cite the CR-V’s infotainment system as their second least favorite aspect of the SUV, and I can’t say that I blame them. The small 7-in. display seems teensy in comparison to more modern systems, and the touch-screen menus have small graphics that require too much of your attention to use with precision while you’re driving. Response time to inputs is also rather slow, and programming the navigation system requires more effort than should be necessary. At least it has standard Apple CarPlay and Android Auto smartphone integration, which means you can bypass Honda’s lagging tech in favorite of Apple and Google. The power/volume knob is helpful, although I always prefer to also have a tuning knob to use. Once you’ve set your favorite radio stations, though, it is easy to retrain yourself to use the steering wheel controls. Go ahead, bring it. The Honda CR-V makes it easy to organize your belongings, with plenty of room in the center console and glove box, along with useful little bins around the cabin. The door bins are generous and useful too. With the rear seats in use, you’ll have 39.2 cu. ft. of cargo space. Fold them down and you’ll get 75.8 cu. ft., which is one of the biggest measurements in the compact crossover segment and is in fact similar to what many midsize SUVs supply. The CR-V’s driver’s seat offers a good vantage point from which to look out over the sloping hood. Thick roof pillars will, however, make you glad that you have a blind-spot monitoring system with rear cross-traffic alert, which comes standard on the EX trim level and above. Honda is a leader in making advanced safety technology available to the masses, and as such, the Honda Sensing suite of active safety features is standard on all CR-Vs except for the base LX trim level. 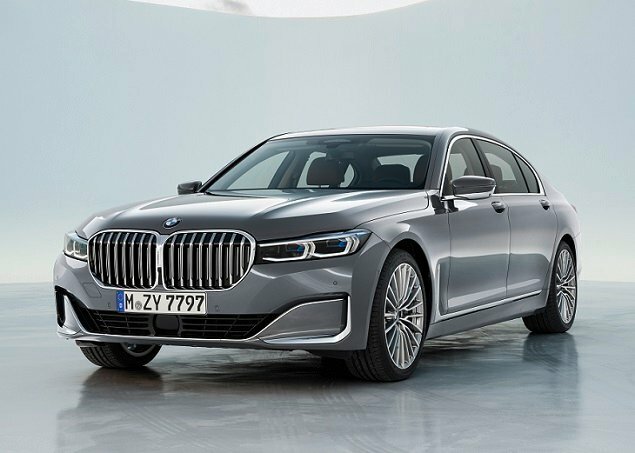 This includes adaptive cruise control, forward-collision warning with automatic emergency braking, lane-departure warning with lane-keeping assist, and a road-departure mitigation system. 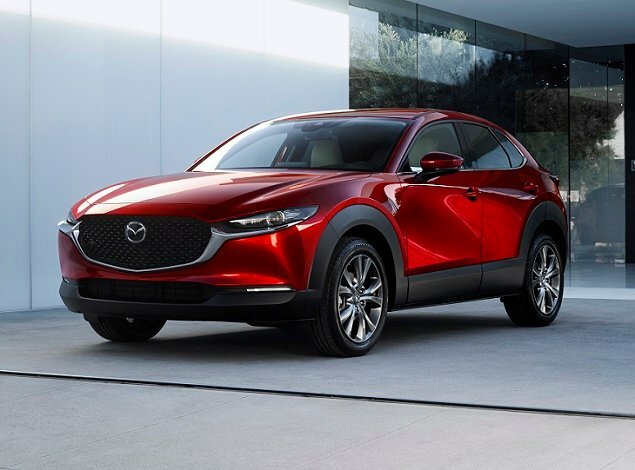 You’ll also have to step up to the EX trim level to get a blind-spot monitoring system with rear cross-traffic alert. The CR-V proves stellar when it comes to protecting its passengers in a crash, with the Insurance Institute for Highway Safety (IIHS) deeming it a “Top Safety Pick.” The only reason it missed a “Top Safety Pick+” rating is due to an “Acceptable” performance for its headlights. Standard for CR-Vs with EX trim and higher, a 1.5-liter, turbocharged 4-cylinder engine makes 190 horsepower and 179 lb.-ft. or torque. It makes the CR-V feel lively and quick to get up to speed, although it tends to be loud under hard acceleration. A continuously variable transmission (CVT) delivers power to the front wheels unless you opt for Honda’s Real-Time 4WD system, which can send up to 40% of the power to the rear wheels for extra traction, according to Honda. The EPA says that the CR-V with AWD should return about 29 mpg in combined driving. My test vehicle came close, returning 27.7 mpg on a test loop of mixed driving conditions. I’m not really sure why fuel economy caused consternation for so many owners that it would be cited as their least favorite attribute, but I was pretty pleased with my test vehicle’s mileage. Owners of the Honda CR-V love its driving dynamics, citing this as a favorite feature. 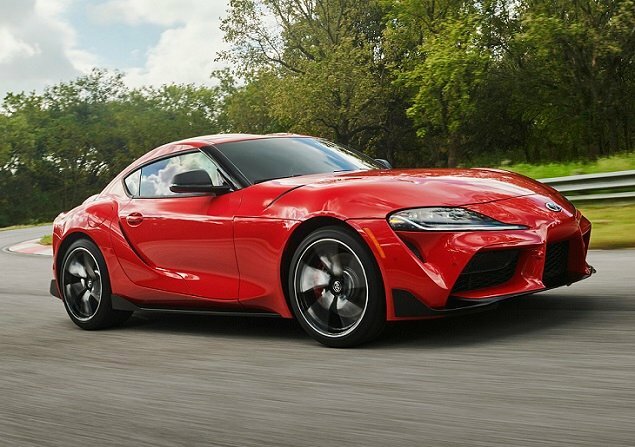 Certainly, this vehicle puts a smile on a driver’s face with its assured nature when diving into corners and engaging handling characteristics regardless of the situation. In particular, the steering is nice and light around town for twirling the CR-V into parking spaces, but gets a little heftier at higher speeds where you want a resolute on-center feel. The brakes prove predictable, too. But the star here is the suspension tuning, which delivers a communicative yet compliant ride combined with confidence-inspiring handling. In part, you can thank the tried-and-true rear multi-link double-wishbone design. Practically speaking, the CR-V’s tidy exterior dimensions make it easy to slip into and out of holes in traffic while zipping around on city streets. This maneuverability, combined with a just-right size for many families, no doubt helps the CR-V to win the compact crossover popularity contest. You see so many Honda CR-Vs on the highways and driveways of America today, and the reasons are perfectly clear. Honda hits all the right notes with this friendly and versatile vehicle. It’s safe, dependable, fun to drive, and roomy enough for your small family and their gear. 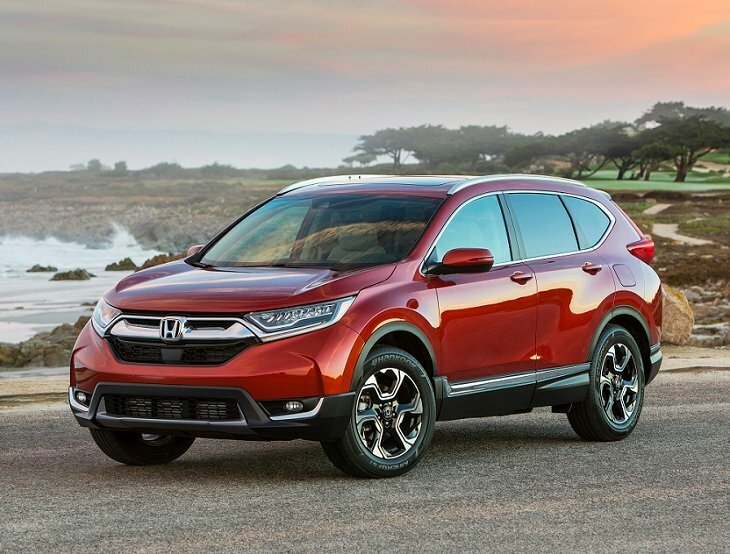 If you’re shopping for a compact crossover, your list must include the 2019 Honda CR-V.